There are many different types of pokies available at both land-based casinos and on the Internet, but when it comes to picking the best type it ultimately comes down to you as a player. There are major differences between 3-reel and 5-reel pokies, and these differences can suit certain types of players. We detail these discrepancies to make it easier for you to decide how many reels you need, regardless of whether you are at a brick-and-mortar casino or playing slots online. When the first poker machine was created in the 1890s, it was made out of metal hoops that would spin by pulling a lever. These metal hoops had about 10 symbols on them and the result would be determined upon each spin, with a certain symbol required to appear multiple times to win. These metal hoops were termed reels and although slot machines have advanced over time and these physical reels have turned into video projections, the name stayed the same. Basically, reels are the columns of symbols that spin to determine the result of the game. When it comes to 3-reel and 5-reel slots, it just means that the former has three reels of symbols spinning while the latter has five. Although this difference may seem insignificant, it actually opens the floodgates for some major differences that players may or may not like. The first major difference between 3-reel and 5-reel pokies is the amount of paylines. The more reels there are, the more paylines that can occur. Three-reel slots can have up to nine paylines, while 5-reel slots can have more than 100. More paylines creates more potential winning combinations, meaning there are more chances to win on each spin. Ultimately, it comes down to how many winning combinations you prefer when choosing between 3-reel and 5-reel slots, but it can affect bet size with more paylines resulting in a higher bet required. Maximum bets are generally a lot higher on 5-reel slots than 3-reel slots and in order to win big, especially on progressives, the max coin bet is required. To win the jackpot on 5-reel pokies you are often going to have to spend more money than you would on 3-reel games. Although many 5-reel slots have more coins to be won than their 3-reel counterparts, you can find 3-reel pokies with a high base jackpot to be won. If you have a small bankroll we recommend playing a pokie machine with a lower max bet, such as the 3-reel slots. If you have a big bankroll and are after bigger win potential, go with 5-reel slots. Most 3-reel pokies only feature one special symbol, meaning there is no need for video animations on bonus rounds or special wins. Five-reel slots, on the other hand, can feature video introductions, bonus rounds, 3D graphics and more. Thus, a more immersive and entertaining experience is created with modern video pokies. If you want variety and to follow a story when playing the pokies, opt for five reels. But if you are only playing for the chance to win and aren’t one for the video intros and animations, three reels might be your jam. Additionally, players with older computers and mobile devices find 3-reel pokie games perform better, as online 5-reel slot machines may require more disk space and newer software for the smoothest gameplay. The following symbols represent the theme of the poker machine so it is a good idea to read the game rules to find out what each symbol represents. Wilds: Wild symbols can substitute for all other symbols, expect scatters, to create a winning payline. This is one of the most versatile features on real money pokies, as they often double up as win multipliers and can come in the form of stacked wilds, split wilds, expanding wilds, sticky wilds, and even entire wild reels. Multipliers: A multiplier, as the name suggests, increases the size of your payout when included in a winning combo. The 2x wild multiplier is most common, but you will also find games with standalone symbols and fixed multipliers that offer even bigger returns. Scatters: Scatter symbols can pay from anywhere on the reels, regardless of whether or not they fall on an active payline. They also pay out according to the total bet played, rather than the amount of coins staked on each bet line. In most modern-day pokies games, landing three or more scatter features unlocks free spins or a second-screen bonus round. 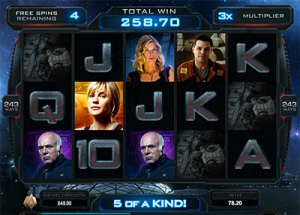 Bonus features: Some scatter pokies also come with a separate bonus symbol which, when enough of them appear in the right order, can trigger one or more second-screen side games. These are often highly interactive and visually impressive features which offer the chance to win free spins, coin wins, multipliers, jackpots and more. Therefore, if you want all the bells and whistles when you gamble, 5-reel online pokies are the way to go. If you prefer to play a simple game with only one symbol, then opt for 3-reel slot machines. While 3-reel slots were the original pokie machines, the format has advanced with modern technology and changed from a simple game into a unique immersive experience. We generally opt for 5-reel video slots as there is more variety available at our favourite online casinos. Furthermore, the best pokies software developers come up with some truly intriguing themes at make playing the game exciting regardless of whether you win or lose. Recent releases also come with loads of different betting options which allow punters to play max coins on all lines without having to break the bank. Overall, however, both poker machines have their benefits and drawbacks and it comes down to you as a player and what you want out of your pokies experience. Royal Vegas Casino has more than 450 pokies for online play. Sign up today and score a $1200 welcome bonus.